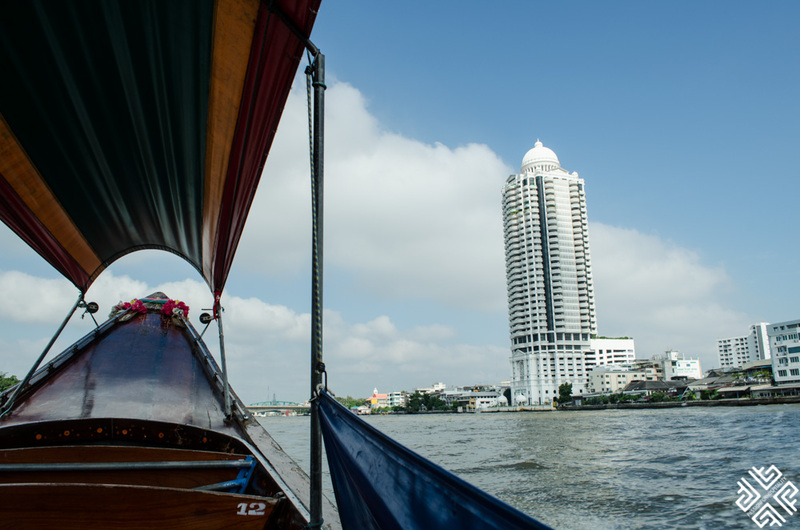 The Chao Phraya River is one of the main landmarks of Bangkok. 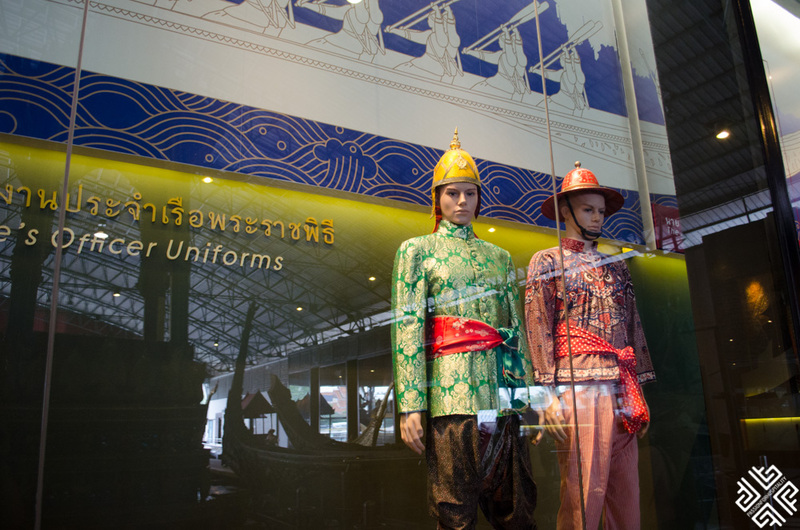 Since we visited a number of places, this post is dedicated to the Chao Phraya River and the Royal Barges Museum. 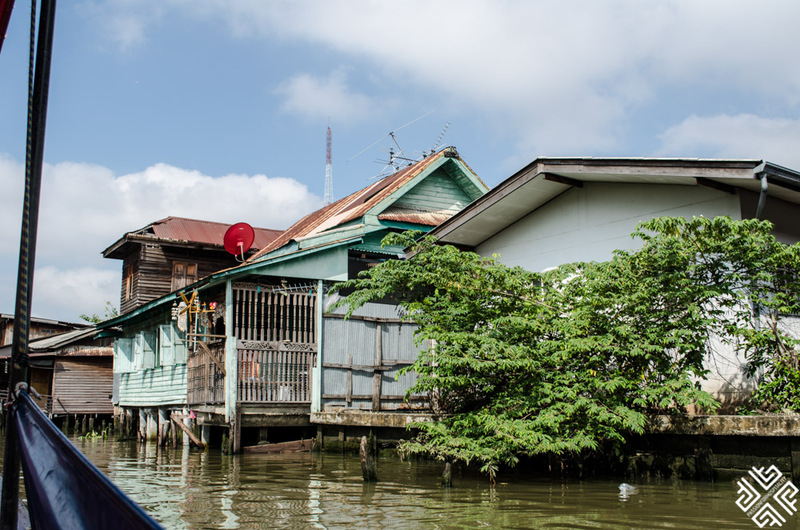 Chosen by its early settlers because of its fertility and abundant fish, the Chao Phraya River remains to be the lifeblood of Bangkok till this day. 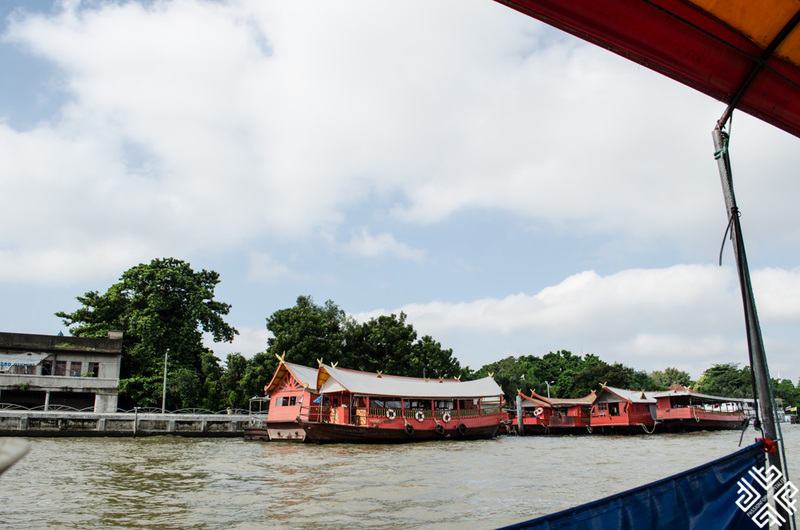 On a daily basis around 50,000 people commute by the river on one of its ferries and river boats. 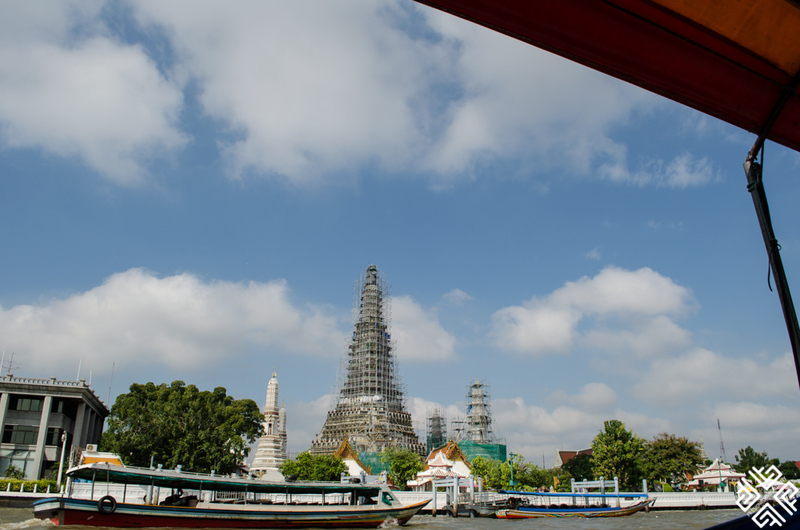 Along the river coast one will discover a mix of traditional and modern Bangkok, with hotels, temples, civic building, all lined up and intertwined with the city’s rich history. 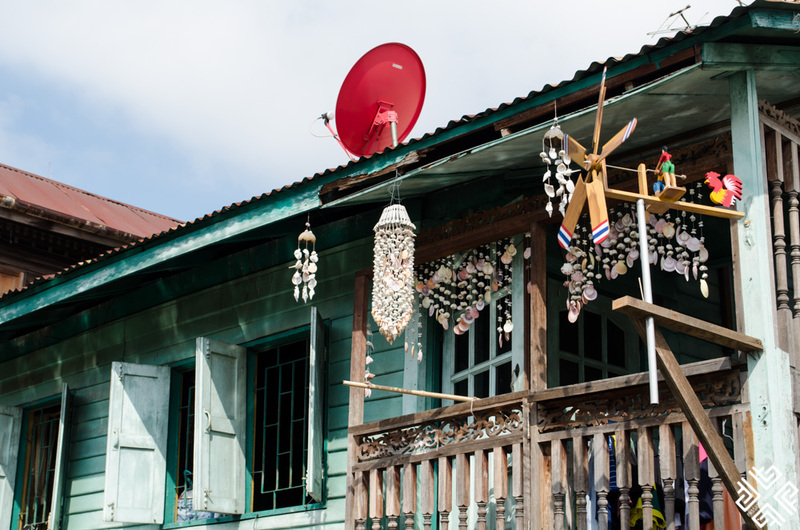 The scenery that you will experience is definitely fascinating, and every corner that you turn presents something different, unusual. 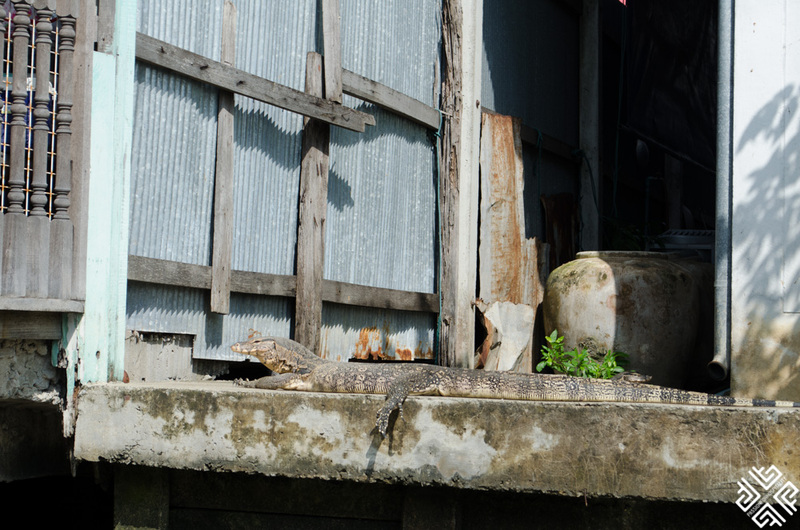 It may either be scruffy or colourful, but whatever it is, it is something worth seeing when you find yourself in Bangkok. 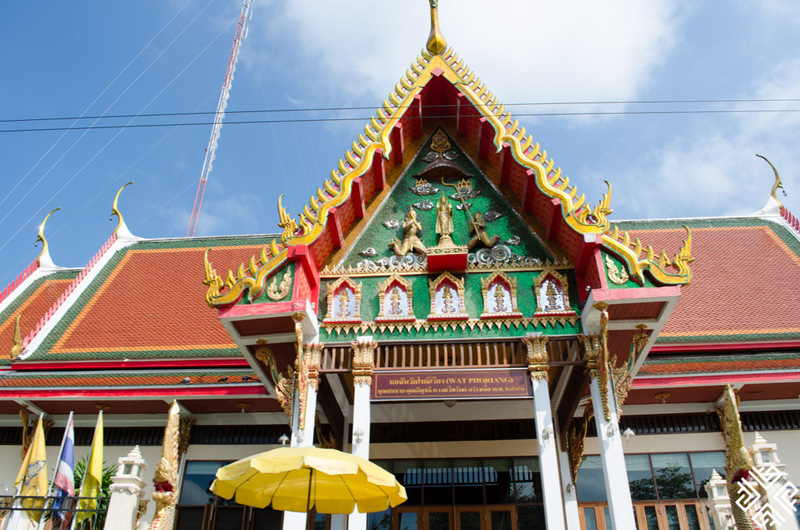 On my second day in Bangkok we attended a Bangkok Highlight City Tour, visiting a number of landmarks which I will be sharing in separate posts as there are too many photos to publish. 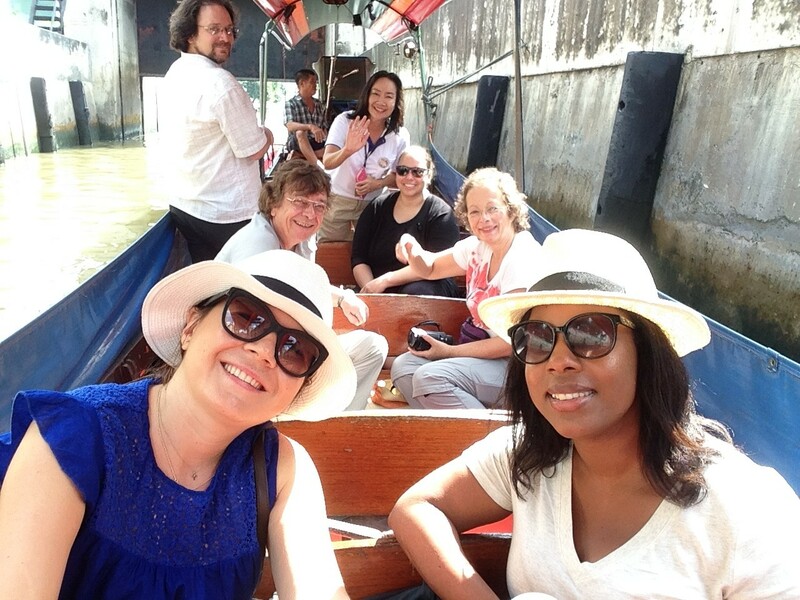 Six fellow travel bloggers (Myself, Tiffany of Wanderblush, Ursula and Gunther of My Video Media, Rese of Chronicles of Rese and Ethan of The Travel Word) together with our lovely guide Miss Thai had a truly remarkable day exploring this fascinating city. 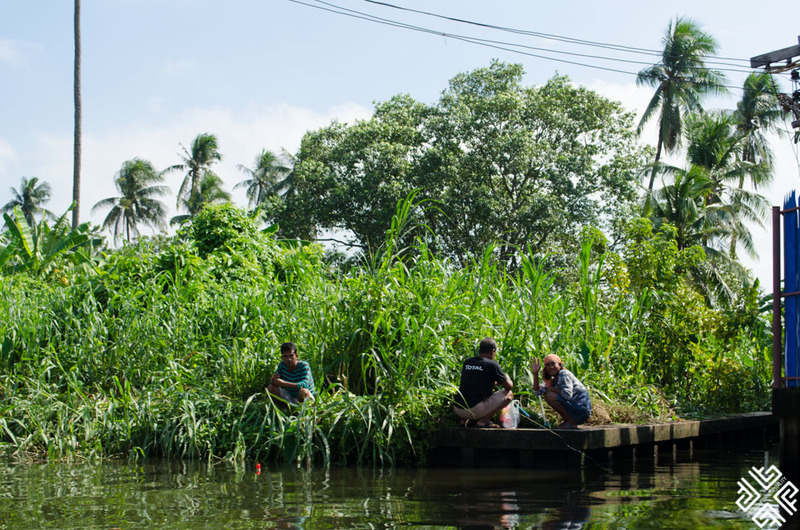 The canals here are known as klongs and to enter some of these klongs you must pass through a lock that is like a wall that is lifted up and then closes once the longtail boat goes through. These locks have been built to prevent the houses from flooding when the level of water in the river rises. 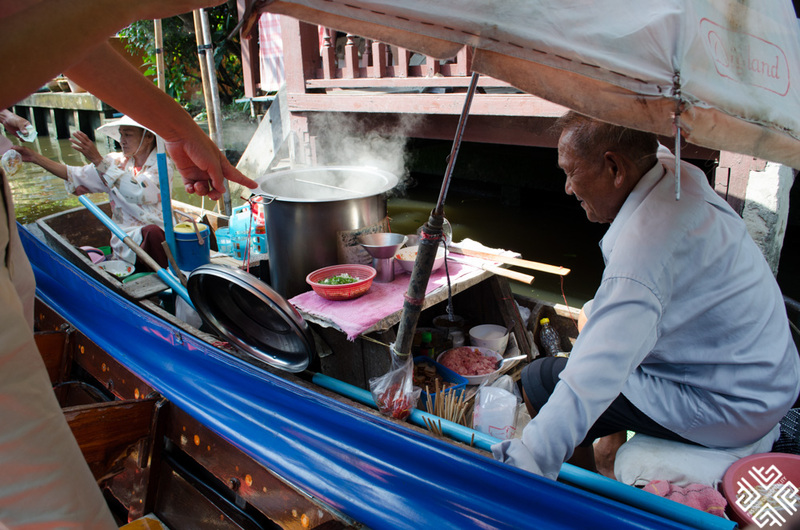 While floating through one of the klongs we passed a mobile food vendor who cooks and serves local thai meals in his boat. We stopped and picked up a meal for our driver, while curiously watching and capturing his every move. 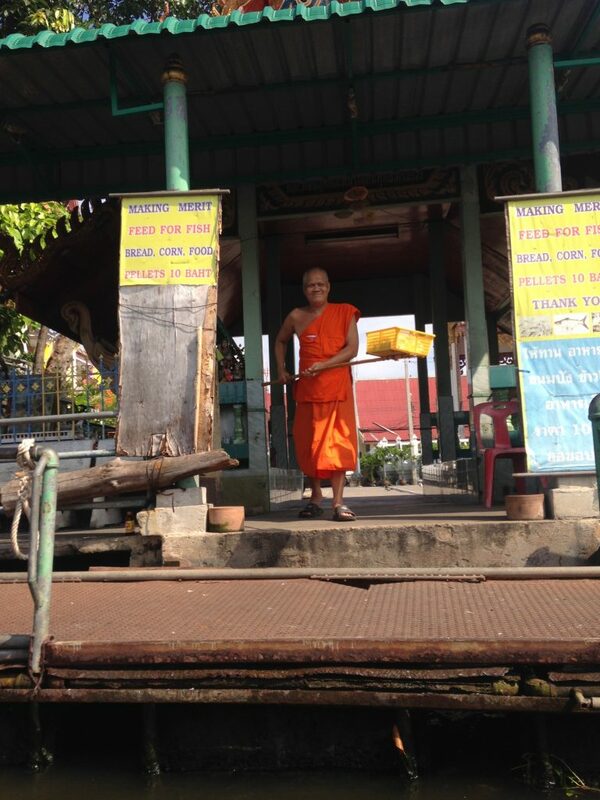 We also passed a temple, where a buddhist monk came out and we bought some bread from him to feed the fish. Apparently the fish here is sacred, thus you are not allowed to fish outside the temple. After waving goodbye to the monk we headed towards the Royal Barges Museum. 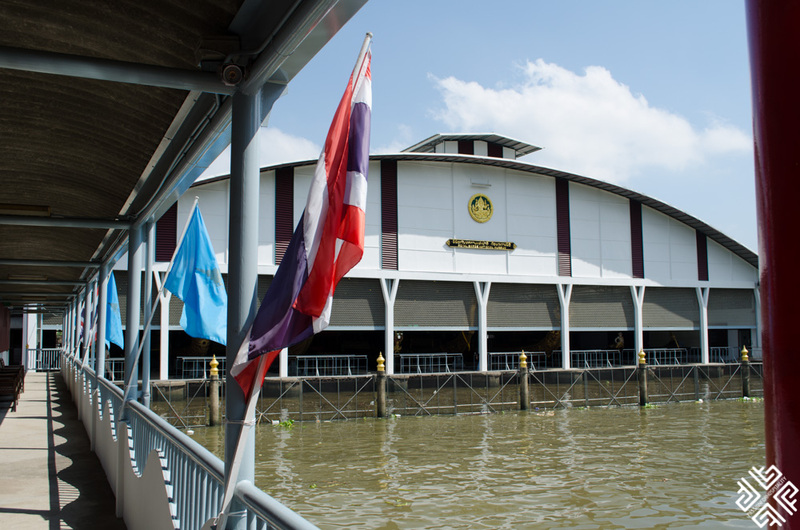 The National Museum of Royal Barges is located in a canal across the river from the Grande Palace. Today the museum houses eight barges out of the 50 that make up the formal processions. During the Ayutthaya period, when the river was the main means of transport, there were over a thousand barges available in the city. When the Burmese sacked Ayutthaya, they had burnt all the barges. 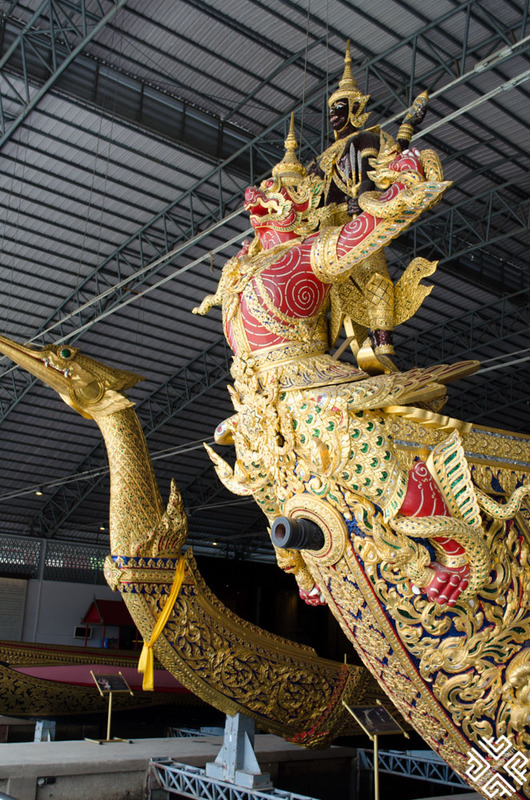 It was when the new capital of Bangkok was established by Rama I, that the new barges were built in the image of the old ones. The barges were used mostly for ceremonies, especially during the annual katin ceremony held in October or November. 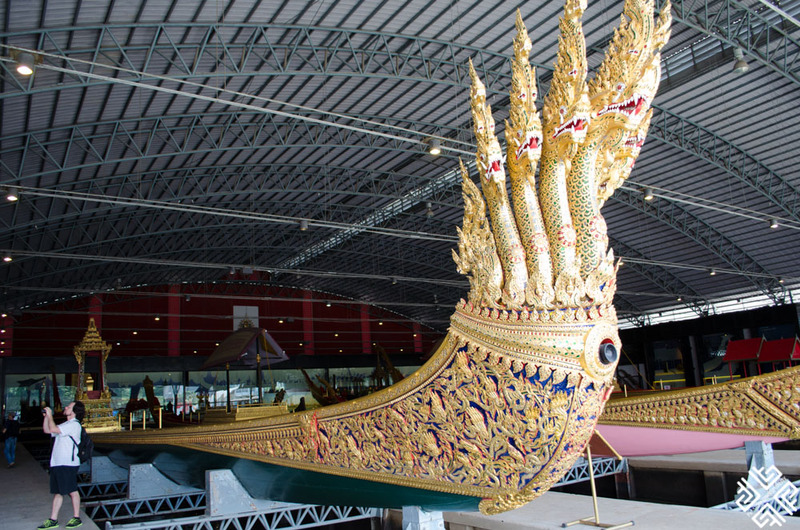 The barges which are on display vary in size and their function, the most important being the Suppanahong or else the “Golden Swan”. 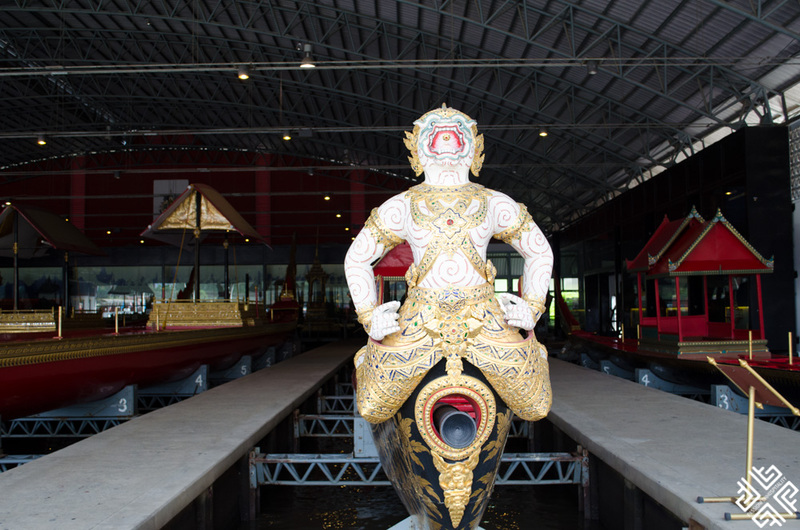 The barge featuring a figurehead prow in the shape of a huge golden swan was built by King Rama I, and was rebuilt by King Rama V. In the museum visitors can watch a short documentary on the history of the barges as well as their making process which is very impressive. 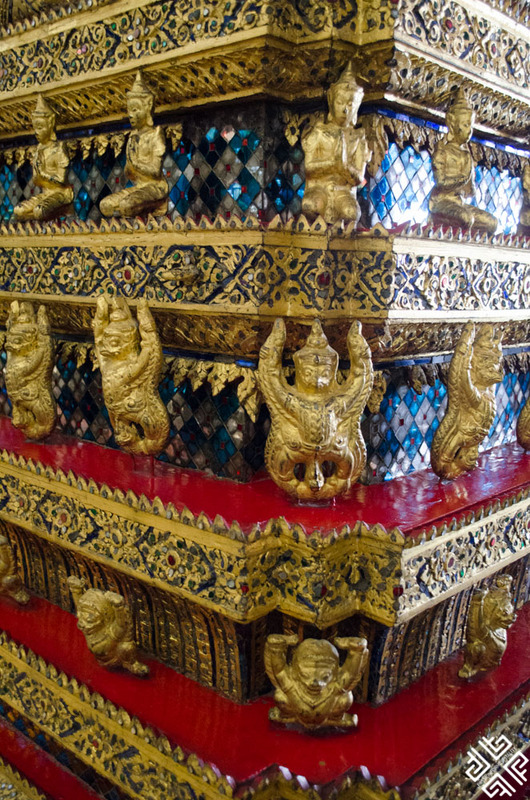 Coming up next we will explore the Grande Palace and the Wat Pho Temple. 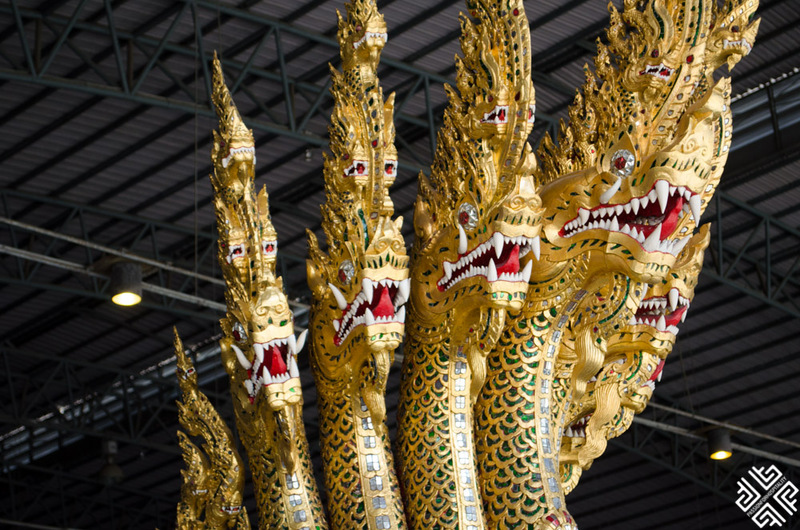 Have you been to Bangkok and what are your impressions?